Measuring your body weight is the most common way to check your progress, as it is a reliable (although not perfect) manner of measuring the results of your efforts. While counting your calories is not directly a way of recording your progress, it positively contributes. What we mean is it is the caloric deficit you create through your food choices that allows weight loss to occur, and will almost certainly require fine adjustments as you proceed to ensure you continue to lose weight.Primarily, you might as well record your caloric intake as you record your progress because it will facilitate how much weight your lose. Remember, you do not have to be overly meticulous. What does this mean? It means you do not need to step on the scale every day, or count every calorie (nor should you). But weighing yourself weekly (first thing in the morning on the same day each week) and counting your calories with reasonable accuracy is going to provide essential feedback. If you are not making any or enough progress from week to week on the scales, then take a look at your calories. If your estimation is reasonably accurate, you will have to decrease your total intake a bit further. Subtracting 200 from your daily calorie intake is sustainable and enough to cause change. 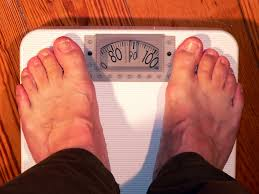 Regarding your weight loss, make sure you are recording your weekly numbers in a notebook or document. It is crucial to have a log so you can see the progress you are making and eventually, how far you have come. Nothing is more motivating than seeing your efforts are paying off. Dont be fooled fast weight loss plans, many dont produce long lasting result and may hinder your long term weight loss program.